Eastleigh are through to the FA Cup third round for the first time in the club's history after winning at fellow non-league side Stourbridge. The Spitfires have enjoyed a remarkable rise in recent years and could now face one of the Premier League giants. 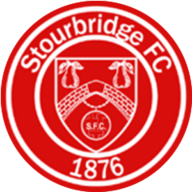 Chris Todd's men secured progress from the second round thanks to second-half goals from James Constable and Josh Payne, earning the National League side a 2-0 win. With so much at stake for both sides, it was Eastleigh - 50 league places higher than Stourbridge - that had the first chance of the game as Jack Midson headed wide from Jai Reason's corner. Glassboys striker Karl Hawley, who scored the winner in the first round against Dover, had the best chance of the first half on 36 minutes, when he found himself one-on-one with goalkeeper Ross Flitney but skied his effort. 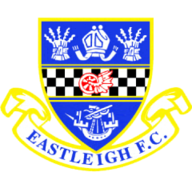 Eastleigh got their noses in front just before the hour-mark as Joe Partington's header was parried by Lewis Solly, with veteran striker Constable on hand to tap in. And the tie was put to bed with 13 minutes remaining, when Ben Strevens' cross was slotted home by Payne. The home side had a glimmer of hope when they were awarded a penalty with three minutes left, but Hawley, who had been bundled over by Will Evans, saw his effort comfortably saved by the impressive Flitney.